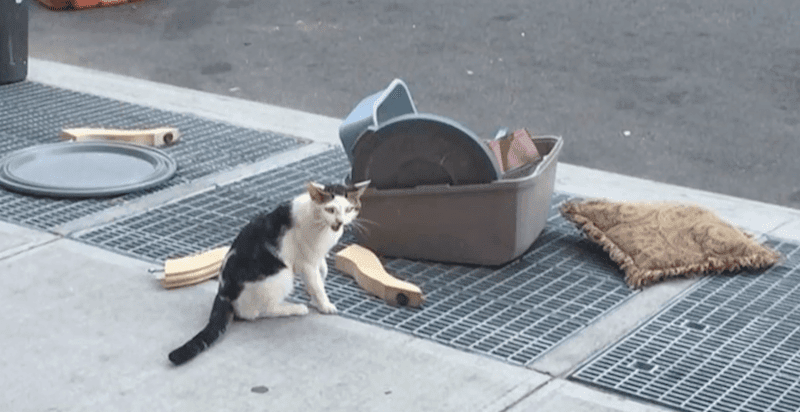 The poor kitty was thrown out onto the streets with his litter box and all his toys next to him on the streets of Brooklyn. The poor cat was crying and then got scared of a street sweeper and ran away till the next day when someone found him. Thankfully someone was able to catch him and rescue him from such a sad abandonment. Some terrible person was upset and thew him onto the streets, but some kind humans decided to give him a “real” home!